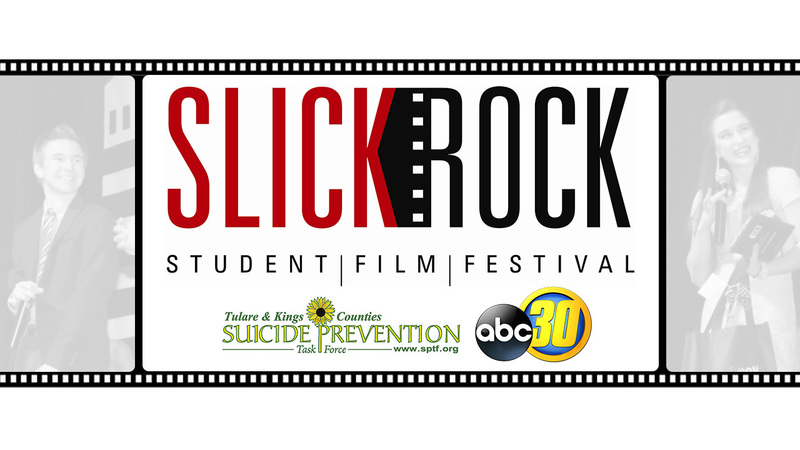 The Slick Rock Student Film Festival is Central California's premier film competition for middle and high school students in Fresno, Kern, Kings, Madera, Mariposa, Merced and Tulare counties. It is a program of the Tulare County Office of Education with support from the Tulare & Kings Counties Suicide Prevention Task Force and ABC30. Slick Rock challenges students to meet industry standards in the technical aspects of film production. The competition is divided into two levels: middle school and high school. Each level offers a variety of film category types for participation. Submissions are due March 9, 2018! For more information on rules and entry submissions, click here. And make sure you join us at the Slick Rock Film Festival Awards Ceremony on Friday, May 11, 2018 at Visalia's historic Fox Theatre.